"I therefore, a prisoner for the Lord,beg you to lead a life worthy of the calling to which you have been called, with all lowliness and meekness, with patience, forbearing one another in love, eager to maintain the unity of the Spirit in the bond of peace. There is one body and one Spirit, just as you were called to the one hope that belongs to your call, one Lord, one faith, one baptism, one God and Father of us all, who is above all and through all and in all" (Eph. 4:1-6, RSV). Since the Holy Orthodox Church is by her nature divine, while according to her witness she is apostolic, she always cherished peace and unity as the most important virtues of Christian life. Accordingly, the Church prays at every service "for the peace of the whole world, for the welfare of the Holy Churches of God and for the unity of all." (third petition in the Great Litany). Beginning with 1963 through 1992, for three decades the Serbian Orthodox Church on the North American continent suffered sorely and painfully as a result of discord brought about by the shameful schism. On the feast of the Meeting of the Lord in 1992, thanks to the endeavors of many people in the Church, and especially endeavors of His Holiness Pavle Patriarch of Serbia, the Eucharistic unity was restored between the two, thus far divorced parts of the pleroma (fullness) of the Serbian Church on this continent: the Serbian Orthodox Church on the North American continent (three dioceses in USA and one in Canada) and the Serbian Orthodox Dioceses of the Metropolitanate of New Gracanica. While they began with what is most important - Liturgical and Eucharistic Unity, they further envisioned proclamation of a common Constitution with accompanying legal decrees as the final goal, which would eventually lead to administrative unity. At its ordinary annual meeting, the Holy Hierarchical Assembly, at the session on May 22, 2007 approved the new common Constitution of the Serbian Orthodox Church in North and South America. Many committees on both "sides" fo the Church on the North American continent worked on the text, which was later proposed and received at the Church-Laity Assemblies (Sabor). However, the Hierarchical Assembly at this year's meeting in May, while confirming once again the common Constitution with certain changes in Article 8, made a decision to change the boundaries of the dioceses, i.e. to restructure the dioceses of our Church in the Americas, as well as to give new names to two out of five dioceses on the North American continent. This decision does fall within the competence of the Holy Hierarchical Assembly. Although, the Constitution with Rules and Regulations is necessary in the ecclesial life, in the Church the Law of Love is a law above all laws and a constitution above all constitutions! At times when love of the many dwindled, or even disappeared, the Christian witness weakened. While, on the other hand only the selfless Love, was able to provide inspiration to Christians even during the vilest temptations and persecutions, as one can see in the history of the Church. This is the reason why the sufferings of martyrs for the faith act as luminaries on our path towards the Truth. Perhaps some will not be much excited about the newly wrought administrative changes due to certain human weaknesses. 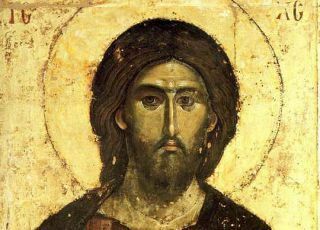 Conversely, all of us should be grateful to God that from now on Christ will be witnessed by the one and unified Serbian Orthodox Church of Saint Sava! During the last two decades we were, thanks be to God, witnesses of the ever frequent and ever sincere rapprochement of the Serbian children and youth from both "sides". And it is because of them, because of the children and the youth, that this year's decision of the Holy Hierarchical Assembly bears an extraordinary import, because even before we can imagine, today's children will become grown-up and, hopefully responsible mature people, and thus they will become carriers of the ecclesial life on this continent. A unified witness is always more effective than the diversified witness! In the past eighteen years our Serbian people and the Serbian Orthodox Church, in the Old Country, experienced and still experience unprecedented challenges and terrors. During the mindless wars in Krajina, later in Bosnia and Hercegovina, and especially during the barbaric bombing of the Serbian lands by the NATO member countries, as well as during the unabated hardships of our people and our sacred places on Kosovo and Metohija, many of our Serbs individually, as well as all our parishes, ecclesial, cultural, sports and other organizations from this continent, have selflessly helped and continue to help our known, and even more unknown, suffering brothers and sisters with Serbian children and the Church in the fatherland. Today, when there are very few of those who will bodly say or do something in defense of the Serbian people or Serbian name, we Serbs have neither time nor "right" to disunity! If we rely with unwavering confidence on the Triune God, and in peace, patiently, with understanding, love, and forgiveness approach each other as members of the one and indivisible Serbian Orthodox Church, the Lord will bless us and our children with everything that we need for salvation! Our Church on this continent is more and more surrounded by serious challenges of the consumerist-hedonistic sub-culture of the modern Western world, which takes us away from Christ, from the Truth which illumines the World. From now on, our common efforts should be directed to finding positive answers to the challenges of contemporary godlessness, the worship of man, adn ever present religious indifference, and estrangement from the Truth. Whether we like it or not, our Lord will undoubtedly question us about what we could have done for the Truth and the beauty of His Image, but failed to do! Let us open our eyes, and let us not be deceived, because today ever faster and in an unscrupulous manner, preachers of various perversities are poisoning our children against Christ as well, conquering rather boldly and successfully, firstly the so-called cultural space, then media, and even the educational, legislating, and other public arenas of the American society. The new millenium and the new century, whose first decade is already running out, judging by the perfidity of the method, will be a period of undeprecedented challenges and afflictions for the entire Christian world! As Orthodox Christians, we must not remain impassive before the growing afflictions, becasue only teh strength of Orthodoxy will be able to sustain us not as mere conscious successors of our glorius ancestors, but as responsible ancestors of our unborn successors! And without the witness of the Orthodox faith, how are we ever going to prove to anyone that we truly belong to Christ, and that amongst us is the one Lord, one faith, and one baptism?! I am convinced that every parish and Church-School Congregation of the former Metropolitanate of Midwestern America, will remain equally efficient in a constructive way and loyal to the newly founded Diocese of New Gracanica-Midwestern America, as they used to be efficient and loyal with regards to their former diocese. Having confidence that we will always remain loyal to our older center of Serbian spirituality on this continent, to the legacy of the equal-to-the-Apostles Bishop Mardarije, to the Monastery of St. Sava in Libertyville, while concurrently embracing the new sacred place, the Monastery of the Protection of the Most Holy Mother of God - New Gracanica, let us offer to the God of Love, Peace, and Justice, glory and thanksgiving for this gift of unity by which He looked upon us and healed our infirmities!